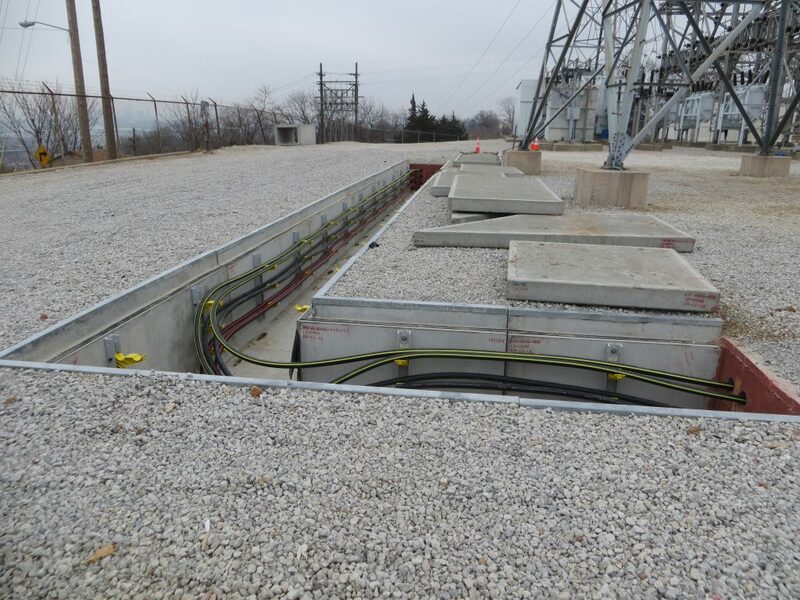 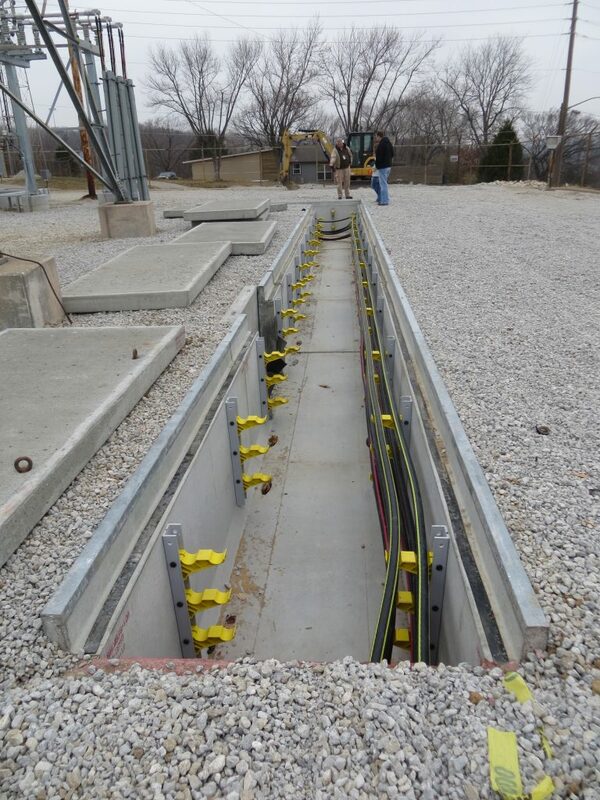 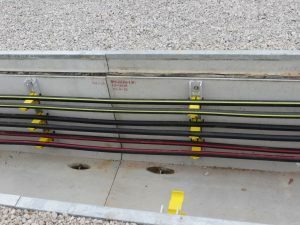 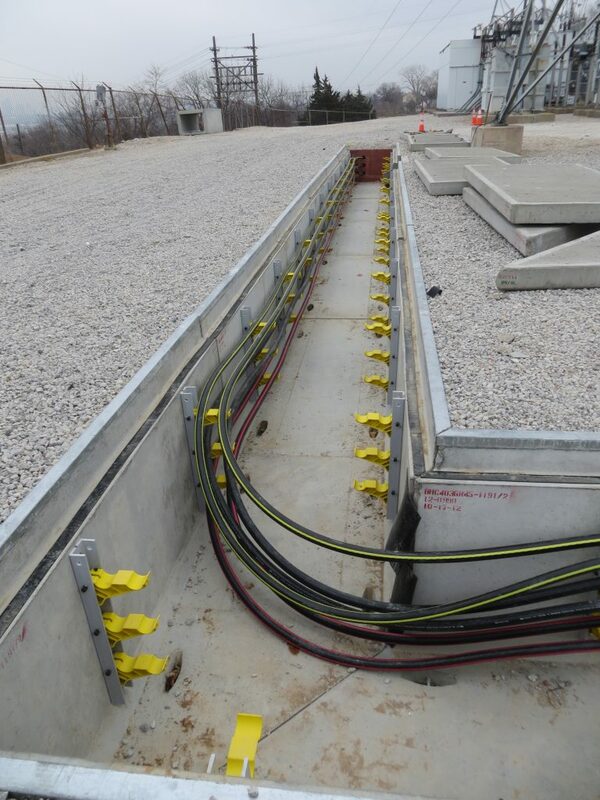 Requirement: A major Kansas power company required Trenwa cable trench that was H20 drive over rated to contain their cables. 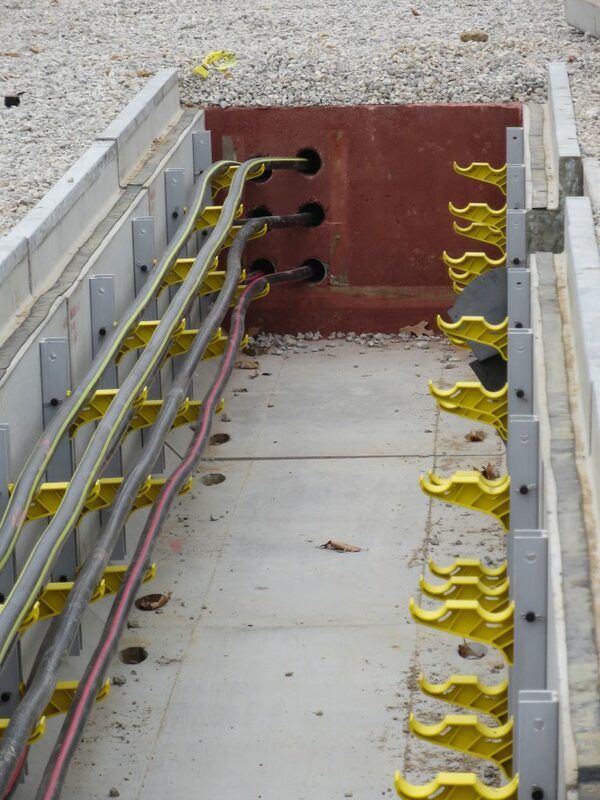 They wanted a better way to organize the cables and to maximize the useable space within the cable trench. 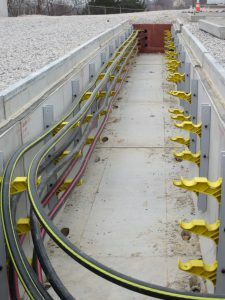 In addition, they needed precast exit points in the end walls for the cables. 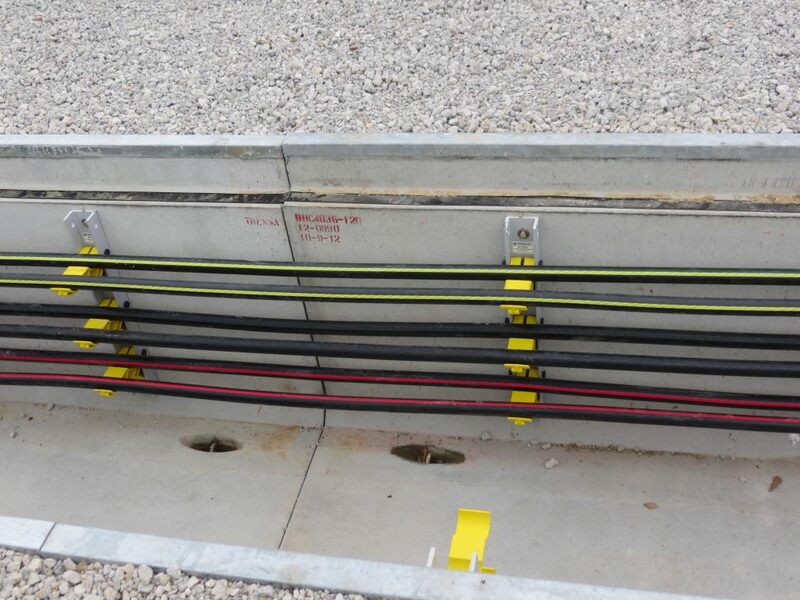 Solution: They selected Trenwa BH series H20 road rated cable trench with H20 concrete lids and Underground Devices cable management system. The BNT series cable management devices were selected and mounted on both walls of the cable trench to hold as many as 12 cables. 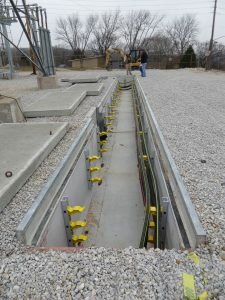 The end walls had holes precast into them for easy access and the concrete was colored red.